Matt Turino (Scarborough, Ont.) of the Toronto Mets takes his hacks at the Major League Scouting Bureau camp held at The Baseball Zone in Mississauga. Photos: Tyler King. They started on the west coast and worked their way east. The annual Major League Baseball Scouting Bureau made six stops in four provinces and attended two other camps along the way. It was a final look indoors before teams head south to Arizona and Florida this month. Walt Burrows (Brentwood Bay, BC) went the distance from North Vancouver, BC to London, Ont. And for Burrows it was a relaxing trip. Rather than looking after all the travelling scouts coming in and out, plus making sure all the talent was on hand -- as he used to do when he was head of the MLB Scouting Bureau in Canada -- and keeping track of each and every player ... Burrows was able to look at players he was interested in. The Minnesota Twins hired Burrows away from the Bureau. He’s gone from being responsible to every high schooler in Canada to only those he’s interested in drafting. Murray Zuk (Souris, Man.) of the San Diego Padres and Greg Hamilton (Ottawa, Ont.) director of Baseball Canada’s national teams were the other two evaluators to go start to finish. The invite-only camps are a look at this year’s crop of high schooler’s -- and down the road -- before checking in again in April and May. Teams: Blue Jays, Mariners, Padres, Twins, Major League Scouting Bureau, Team Canada. OF Tyler Duncan (Sooke, BC) Victoria Eagles. RHP Jake Polancic (Langley, BC) Langley Blaze. INF Kobe Morris (Victoria, BC) Victoria Eagles. RHP Carter Loewen (Abbotsford BC) Abbotsford Cardinals. RHP Tim Walters (Gibsons, BC) North Shore Twins. Teams: Blue Jays, Mariners, Mets, Padres, Phillies, Tigers, Twins, Major League Scouting Bureau, Team Canada. RHP Josh Burgmann (Nanaimo, BC) Vauxhall. RHP Carson Perkins (Blenfait, Sask. ), Vauxhall. LHP Garrett Nicholson (Sydney Mines, NS) Vauxhall. LHP Wesley Moore (Surrey, BC) Vauxhall. RHP Ben Erwin (Spruce Grove, Alta.) Vauxhall. OF Damiano Palmegiani (Surrey, BC) Vauxhall. Teams: Blue Jays, Dodgers, Mariners, Mets, Tigers, Padres, Phillies, Twins, Major League Scouting Bureau, Team Canada, Prairie Baseball Academy. OF Clayton Keyes (Calgary, Alta.) Okotoks Dawgs. OF Justin King (Okotoks, Alta.) Okotoks Dawgs. INF Kobe Hyland (Spruce Grove, Alta.) Spruce Grove White Sox/St. Francis Xavier Academy. “Strong armed shortstop, Improved with the glove last season, Had the best pop time as a catcher as well. INF Peter Hutzal (Calgary, Alta.) Okotoks Dawgs. 3B Brett Esau (Meadow Lake, Sask.) 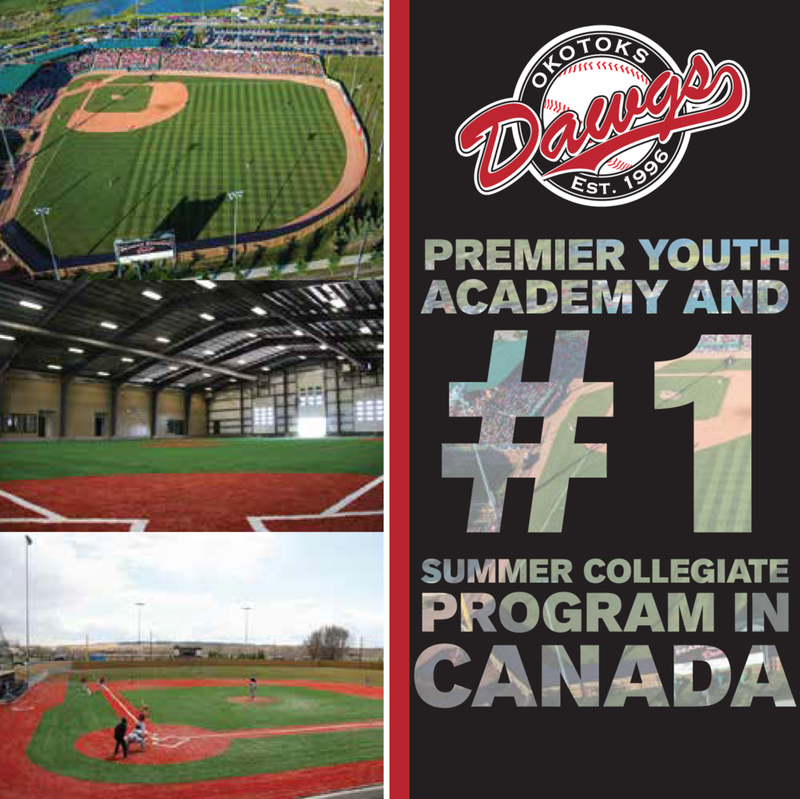 Okotoks Dawgs. RHP Ben Thompson (Auckland, NZ) Okotoks Dawgs. RHP Zack Demchenko (Saskatoon, Sask.) Okotoks Dawgs. 1B Soren Graversen (Calgary, Alta.) Okotoks Dawgs. 3B Robert Holmes (Leduc, Alta.) St. Franics Xavier Academy. RHP Tyler McWillie (Watrous, Sask.) Okotoks Dawgs. INF Cesar Valero (Calgary, Alta.) Okotoks Dawgs. Teams: A’s, Brewers, Padres (including John Stewart, involved when Atlanta Braves chose Scott Thorman in the first round in 2000), Twins, Yankees, Baseball Canada, Major League Scouting Bureau. RHP Mathieu Deneault-Gauthier (Candiac, Que.) Academie Baseball Canada/Team Elite Atlanta. INF Edouard Julien (Québec City, Que.) Academie Baseball Canada/Team Elite Louisville Slugger. RHP William Sierra (Montréal Que.) Academie Baseball Canada. RHP Conor Angel (Lachine Que.) 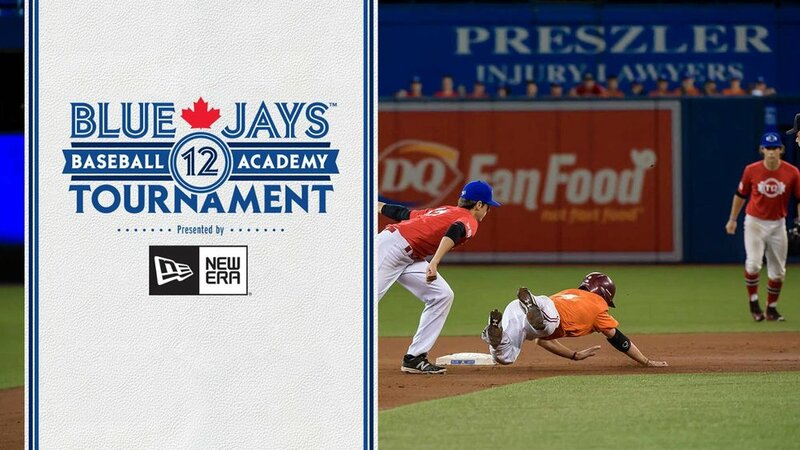 Academie Baseball Canada. Teams: A’s, Blue Jays, Brewers, Diamondbacks, Padres, Red Sox, Rockies, Royals, Twins, Baseball Canada, Major League Scouting Bureau. C Luke Van Rycheghem (Kent Bridge, Ont.) Ontario Blue Jays. RHP Sam Turcotte (Toronto, Ont.) Ontario Terriers. INF Elliott Curtis (Watleroo, Ont.) Ontario Terriers. OF Marcus Johnston (Whitby, Ont.) Ontario Yankees. RHP Landon Leach (Pickering, Ont.) Toronto Mets. “You just jinxed him,” Cho was told. Not only was the next pitch under 91 ... Leach threw a pitch which skipped under the bar of the screen and through the legs of former Seattle Mariners infielder Cho, now a Mets coach. INF Dondrae Bremner (Toronto, Ont.) Toronto Mets. INF Jacob Martins (Richmond Hill, Ont.) Ontario Terriers. RHP Ben Abram (Georgetown, Ont.) of the Ontario Terriers. RHP Ben Abram (Georgetown, Ont.) Ontario Terriers. OF Denzel Clarke (Pickering, Ont.) Toronto Mets. INF Leo Markotic (Etobicoke, Ont.) Toronto Mets. C Ryan Leitch (Whitby, Ont.) Pickering/Ajax Cubs bantams. Teams: A’s, Blue Jays, Brewers, Diamondbacks, Mets, Padres, Red Sox, Rockies, Royals, Twins, Baseball Canada, Major League Scouting Bureau. C Andrew Yerzy (Toronto Ont.) Toronto Mets. RHP Austin Shields (Dundas, Ont.) Great Lake Canadians. “Was 91-93 MPH, one tick off the highest indoor clocking I’ve ever seen in the winter since Michael Clouthier. Sat 91-93. Clean arm. Really had not pitched that much, body has slimmed out. Looks sleek and slim. C Max Wright (Toronto, Ont.) Great Lake Canadians. OF Jake Wilson (New Lowell, Ont.) Great Lake Canadians. INF Adam Hall (London, Ont.) Great Lake Canadians. RHP Garner Spoljaric (Lisle, Ont.) Great Lake Canadians. RHP Jordan Balazovic (Mississauga, Ont.) of the Ontario Blue Jays threw a bullpen with pitching coach Mike Steed watching. Teams: A’s, Blue Jays, Brewers, Diamondbacks, Mets, Padres, Red Sox, Rockies, Royals, Twins, Baseball Canada. RHP Jordan Balazovic (Mississauga, Ont.) Ontario Blue Jays. OF Nick Howie (Oakville, Ont.) Ontario Blue Jays. RHP R.J. Freure (Burlington, Ont.) Ontario Blue Jays. INF Jakob Newton (Oakville, Ont.) Ontario Blue Jays. OF Cooper Davis (Mississauga Ont.) Ontario Blue Jays. SS-C Noah Naylor (Mississauga, Ont.) Ontario Blue Jays. INF Ryan Kula (Toronto, Ont.) Ontario Blue Jays. LHP Justin Bradt (Burlington, Ont.) Ontario Blue Jays. "Looks like he is going to be a stud. Already 6-foot, 185-pounder, 80-82 with his fastball. Early feel for secondary pitches. Still growing into body.Fairly decent mechanics at 14U, Strong physically already." Teams: A’s, Diamondbacks, Twins, Baseball Canada. C-RHP Zachary Fascia (Brampton, Ont.) Brampton Royals. RHP Darren Dwyer (Guelph, Ont.) Oakville A’s. RHP Cameron Dyck (Etobicoke, Ont.) Etobicoke Rangers. Who might benefit from Aaron Loup's forearm injury?